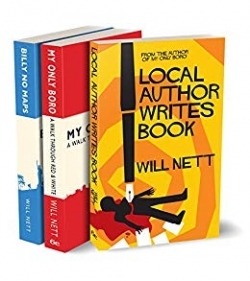 Together for the first time in one volume, Will Nett’s Gonzo-steeped works, My Only Boro: A Walk Through Red & White, his riotous travelog, Billy No Maps: A Teessider On Tour, and his latest tome, Local Author Writes Book, form the Nett Set, commemorating a decade of literary adventures. 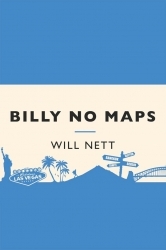 Will is an incurable backpacker, occasional banjo picker and habitual note-maker/taker, most of which have found their way into his no-nonsense, punchline-fuelled, relentlessly funny and dry-witted books. 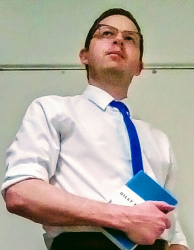 Thinking of writing a book? It’s not all chat shows, award ceremonies and copious amounts of booze – except for the copious amounts of booze. 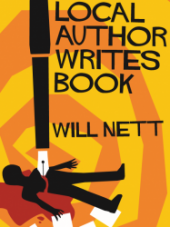 Join My Only Boro author Will Nett as he deals with his stratospheric new-found success – he was on local radio, y’know – and embarks upon ‘difficult second book phase’. Stuck for new subject matter, and holding down a series of menial jobs in order to collect new material, he becomes embroiled in a peculiar world of yo-yo dieting, backyard boxing bouts, and religious cults. It’s a wonder he has time for punch-ups on the streets of Paris, upsetting Eurovision song contest winners, and arranging a parking space for potential Prime Ministers… but could he turn any of it into a book? My Only Boro is not just about Middlesbrough Football Club, it’s not just a history book about the town and it’s not just a social commentary on a town once described as the worst place to live in Britain – it’s all this and more. What do Pamela Anderson’s ex-husband, a Los Angeles street gang, a trans-European smuggling plot and 64 acres of sugar cane have in common? They all became inextricably linked with Will Nett, that’s what, as he tangled with Balinese customs officials, almost died in the Australian Outback and foiled his own kidnapping at the hands of Fijian furniture salesmen during his chaotic year-long excuse for a holiday. 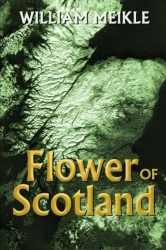 …And if you’re planning a round-the-world gap year trip in the near future, whatever you do, don’t let your mum read this book. Buy Will’s three books now or read for FREE on Kindle Unlimited.